Looking for more information on implant anchored dentures vs. traditional dentures so you can understand the benefits of both denture choices? Good for you. If you have recently found out that you are in need of dentures, then learning more about your denture options is definitely a good idea. There are many choices available nowadays, and by looking at the pros and cons of each of your choices, you are ensuring that you will make a denture choice that will easily fit into your particular lifestyle. Ready to learn more? What are implant anchored dentures? Implant anchored dentures are dentures that are held in place using a number of dental implants (usually four). The dental implants first need to be surgically inserted into a patient's jawbone and given time to heal before the dentures can be attached to the implants. Implant anchored dentures are held in place when they are connected to the implants, which can be removable or permanently placed in one’s mouth. The fact that implant anchored dentures use dental implants that are surgically inserted into a patient's jawbone means that the jawbone is once again being stimulated, which is very important to the overall health of a patient's mouth. Because implant anchored dentures are directly connected to the dental implants, there is no reason to worry about the dentures moving around in one’s mouth. This means those who choose this denture choice can feel free to eat anything they want, drink anything they want, laugh out loud and talk freely without worrying about the possibility of their dentures falling out of their mouth. Traditional dentures are also known as conventional dentures and are specifically designed in a way that allows them to adapt to each individual dental patient's mouth. Traditional dentures are held in place by the patient's gums and bone structure and are completely removable for cleaning reasons. It is sometimes necessary for patients to use a special denture adhesive to keep traditional dentures in their place. The bite force of traditional dentures is not as strong as the bite force of implant anchored dentures. The benefits that come with choosing traditional dentures include the fact that they can be made quickly and offer a pleasant appearance. Have you decided that implant anchored dentures are right for you? After reading the above information on the benefits of dentures that are supported by dental implants, is this a denture choice that you feel will blend in well with your lifestyle? It really is great news that many people have the ability to choose the type of denture they want nowadays. 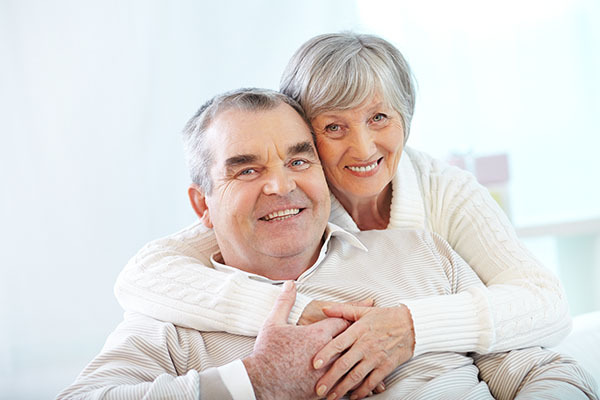 In order for you to know what denture choices are available to you, you will first need to make an appointment with a dental professional for a full mouth evaluation. Are you considering implant anchored dentures in the Roy area? Get more information at https://www.mydavidsondental.com. Check out what others are saying about our dental services on Yelp: Implant Supported Dentures. « Is a Dental Filling Always Required for Cavities?